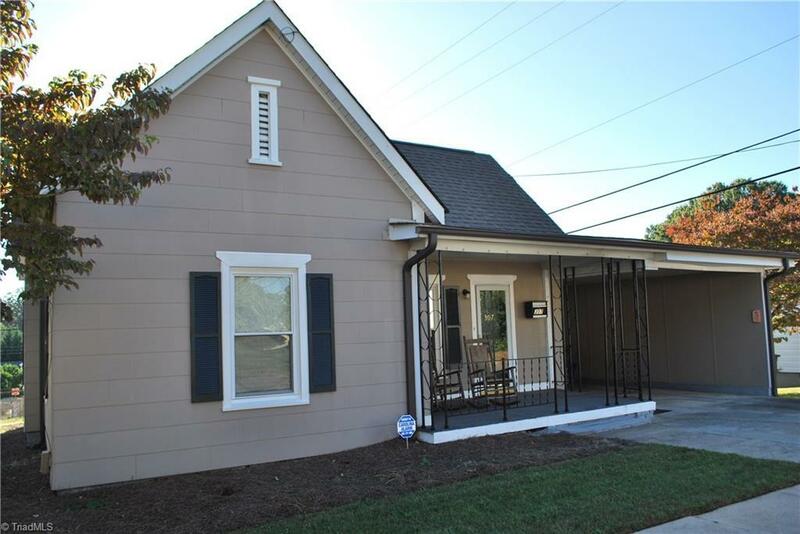 Adorable one story cottage with many improvements in Hanestown. You are greeted by this spacious front porch. Living room & Master bedroom both have pine floors. Second bedroom has carpet and two closets. Kitchen features a built in oven, cook top. Refrigerator & Stack washer & dryer will remain with a full price offer. Outbuilding, single carport and neat yard plus sidewalks with easy walking access to grocery store and restaurants. Perfect for someone looking for in town living at affordable price.